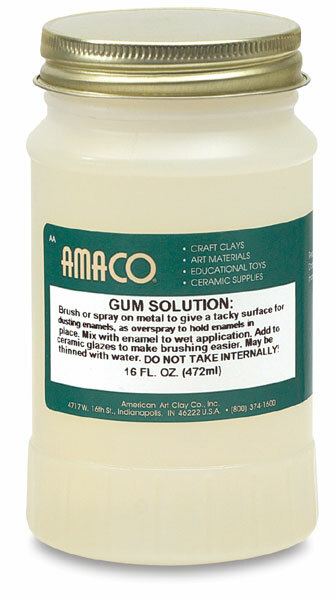 Mix Amaco Gum Solution with water and add to thick glazes to improve brush ability. Gum Solution slows drying time to prevent cracking. Use it also to bring old, thick glazes back to their original creamy consistency. 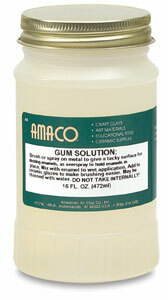 It can also be used as a binding medium for dry enameling powders, or mixed with enameling powder for wet application.